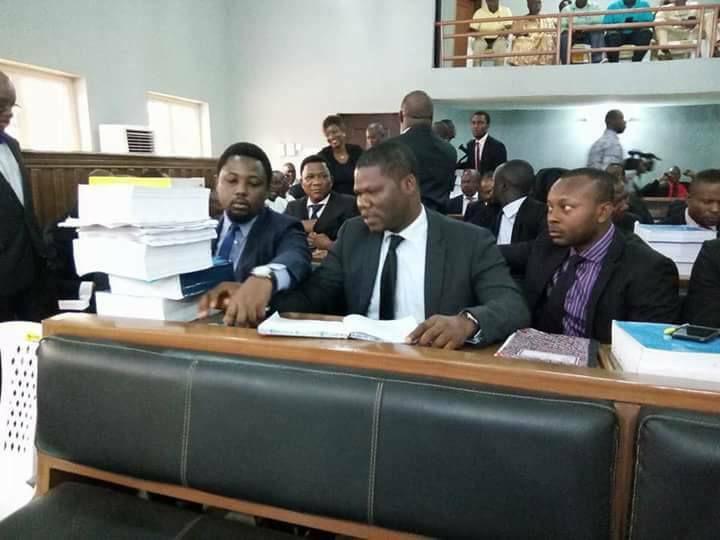 Proceedings took a daring turn Wednesday, at the Edo Election Tribunal as a principal witness (PW 25) Mr. Godwin Omoregie of the Peoples’ Democratic Party (PDP) and Pastor Osagie Ize-Iyamu professed that he and others of the PDP would go to any lengths to win the case at the tribunal. This was as Omoregie who hails from Ikpoba-Okha local government, informed the tribunal that he owned two signatures and he deployed both during the course of the election. Omoregie, who strove futilely to evade questions directed at him, also admitted that he would feel hard done by if himself and his party, the PDP were to meet with any other outcome but victory at the Tribunal. As such, he explained, they would do anything possible to win the case at the tribunal. He however denied being tutored, among other PDP agents and witnesses, to evade cross-examination and waste the time of the court. Omoregie, under cross-examination by the 1st, 2nd and 3rd respondents’ counsels revealed that he was appointed ward collation agent for PDP and all the agents accordingly submitted their results to him, but said, “I did not act as polling agent”. He said the 27 polling units in his ward were scattered and that he presented his voter’s card to the presiding officer who identified him before he voted in polling unit 26 and that all the units had PDP agents. He said of the election in all the units, “All the PDP agents performed their duties effectively, signed the results and gave them to him, adding that “they later protested to me at the collation centre”. The bone of discord soon became whether or not he signed the results, something he claimed to have done. When the defendants’ counsels put it to him that he did not sign the result, he said he did. And the signature on the paper was soon shown to him, and he claimed, “It is mine”. Since the signature on the results differed from his regular signature, he was asked how many signatures he had. He replied, “I have more than one signature”.